The opening song of Natpe Thunai begins with the lines, 'Aathadi enna udambu'. The song from the 1994 film Sindhu Nathi Poo became famous recently after a television celebrity sang it on a comedy show. The Natpe Thunai version borrows only the first few lines from the original ‘dance’ number before turning into a song about friendship. Now, why would a song about friendship begin with the lines 'Aathadi enna udambu, adi anganga pacha narambu'? To cash in on the buzz around it among youngsters, clearly. Even if we charitably forgive this, it does get a bit tiring when the entire film is structured this way. In a film about a hockey ground, a surprisingly large amount of time is spent on the theatrics of Prabhakaran (Hip Hop Aadhi), who decides he has fallen in love with Deepa (Anagha). She is a hockey player but we see her actually play the game only for about two minutes. This romance track is also mined for a couple of songs that sound dangerously similar, titled... Morattu Single and Single Pasanga. I wish someone would tell Hip Hop Aadhi and other YouTube celebrities that simply goofing around on-screen, or doing the things they are famous for, doesn’t translate to being entertaining. Meesaya Murukku, his debut film, was palatable mostly because it never really took itself too seriously. 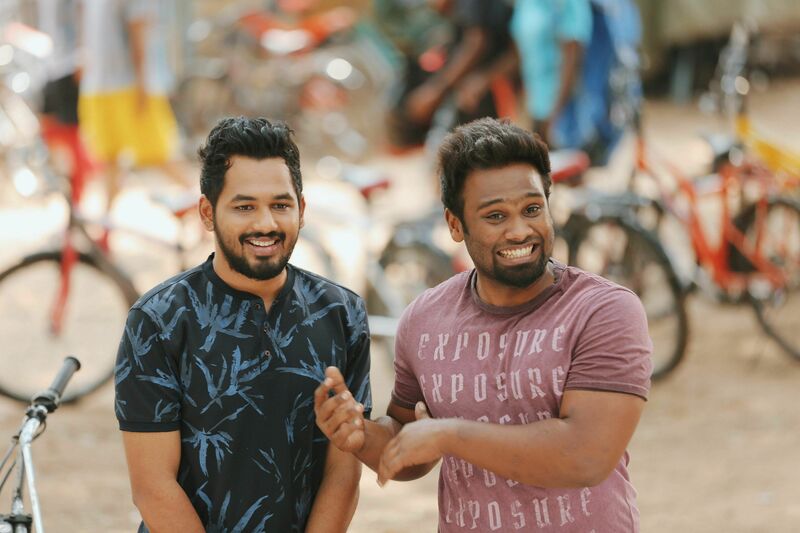 But Natpe Thunai is stuck between trying to be a 'fun' entertainer and a film that wants to say something, just for the sake of it. The only person who is at least partially convincing, is Karu Pazhaniappan, who effortlessly plays the manipulative Harishchandra. But he too is bogged down by the superficial writing. With Natpe Thunai, we have yet another film following the commercial template to T and trying to cash in on the current trends and the faces du jour. As I walked out of the theatre, I could hear fellow audience members rate it as a ‘pucca commercial film’. It is sad that our standards for commercial films have dropped so much that we have become okay with them not having an iota of creativity or innovation. What does a new film really offer you when it is just old wine in an old bottle?